Zapier can be used to add your emails into Fusioo. 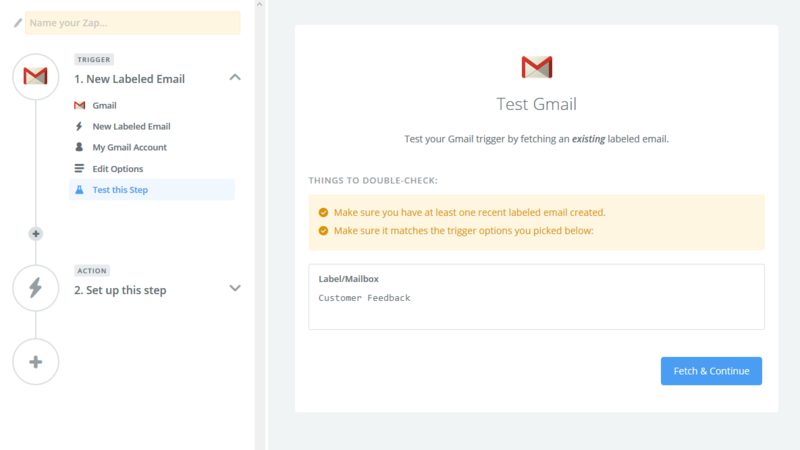 In this example we will adding new emails labeled as Customer Feedback, from Gmail. Zapier account - If you do not already have one, create one, from zapier.com. Gmail account - If you do not already have one, create one, from google.com. Fusioo's integration with Zapier is currently in beta. This means that you need to accept the invitation to use Fusioo in Zapier. 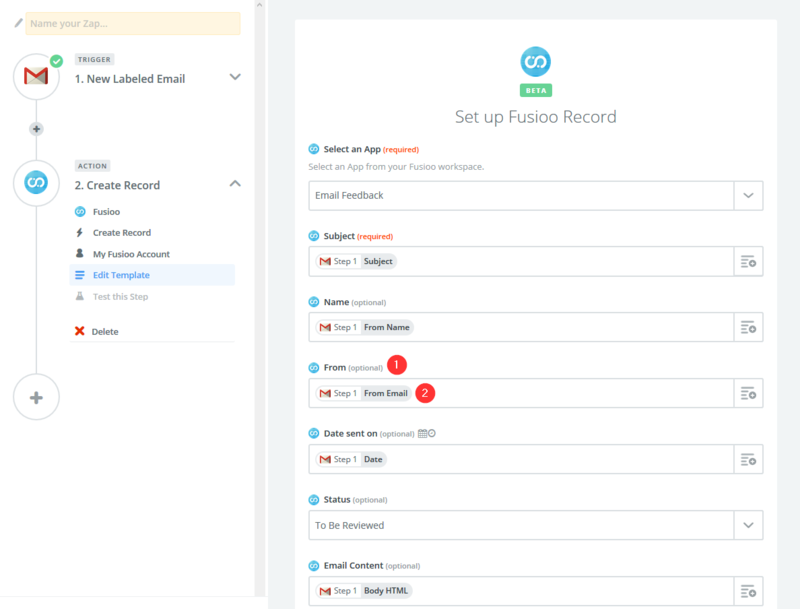 Learn how you can get started with Zapier and Fusioo. 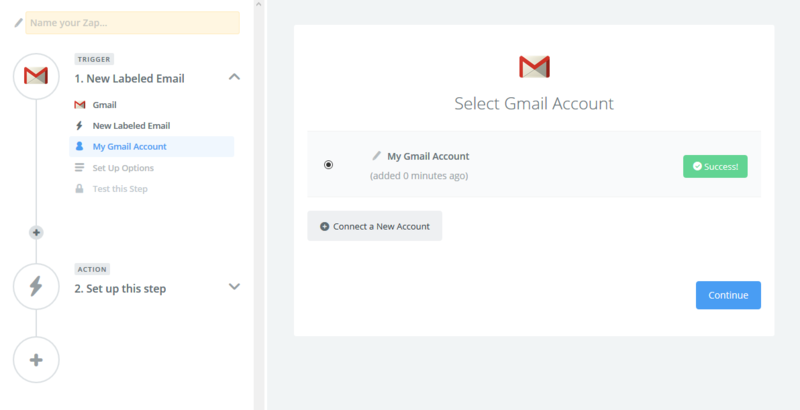 Follow the on screen instructions to connect with your Gmail account. Select the Label you want to use. In our case we selected Customer Feedback. To successfully use this Gmail trigger, you must have at least one recently labeled email created. The label must match the one you selected in the previous step. 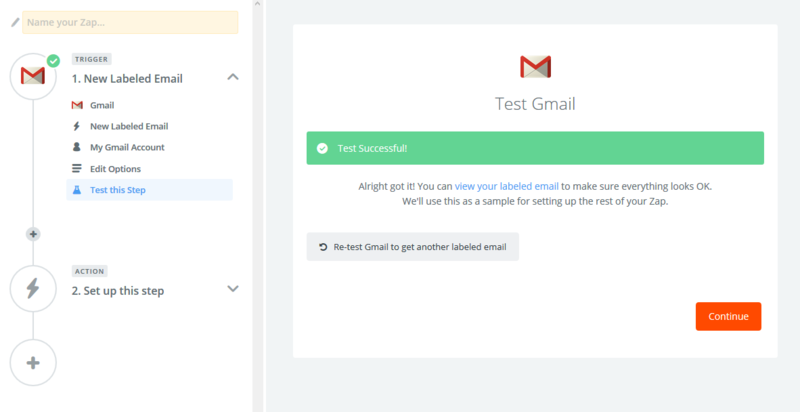 If a labeled email is found, your Gmail connection test will be successful. Select the Fusioo App in which this record will be created. 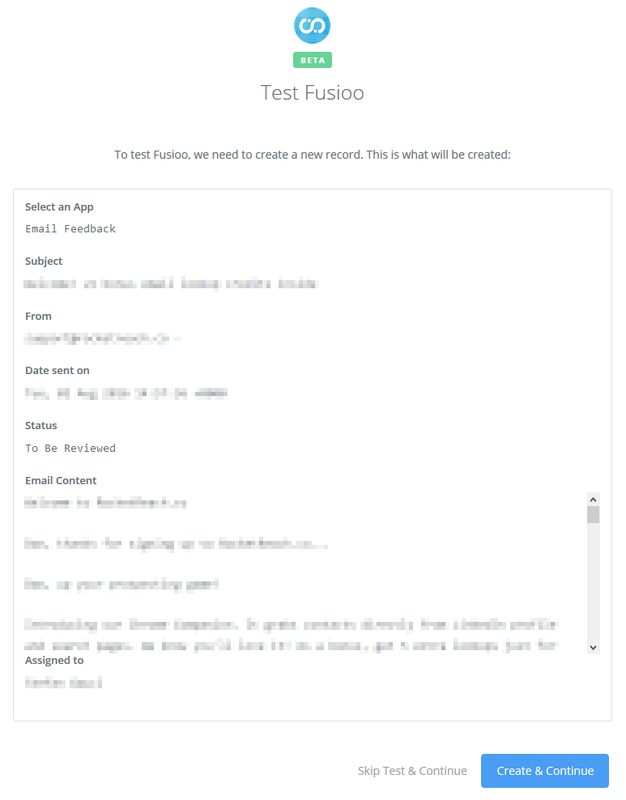 For this example, we used a simple Email Feedback App in Fusioo. 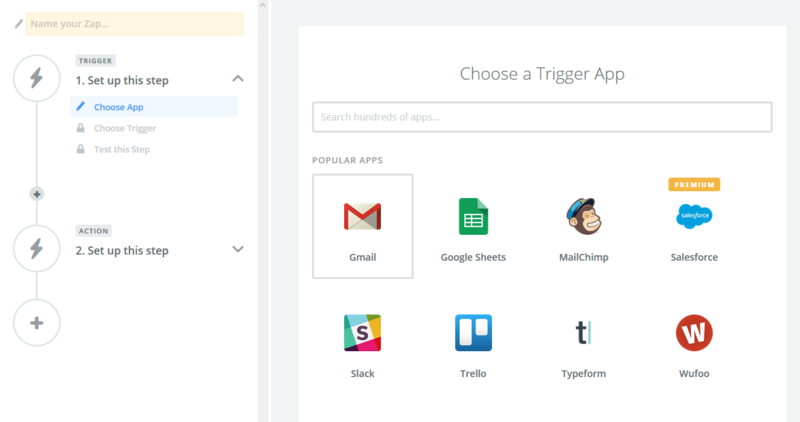 To successfully create a Zapier integration, you must have access to at least one Fusioo App. 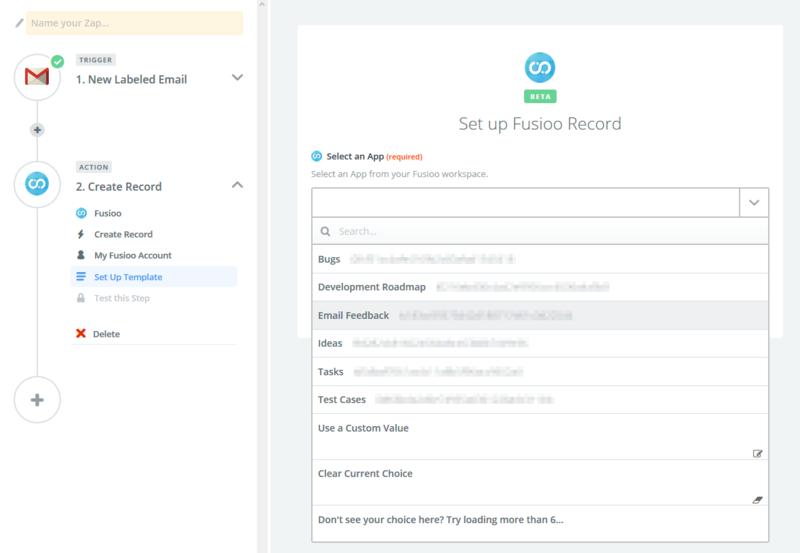 You can activate an App Bundle from the Fusioo Marketplace or create your own App from scratch. 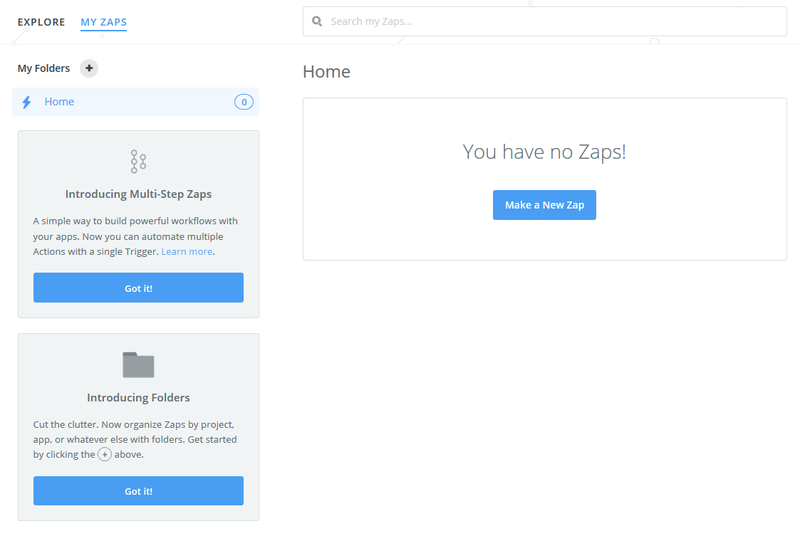 In the last step, Zapier will test your Zap by creating a new record in your Fusioo App. The data for the new record will be retrieved from the last labeled email retrieved from Gmail. For example, if the 'Subject' Field is required in Fusioo, but it was left empty, the 'Create Record' action will fail. The error message will let you know why it failed so you can make the necessary change in Fusioo to fix it. 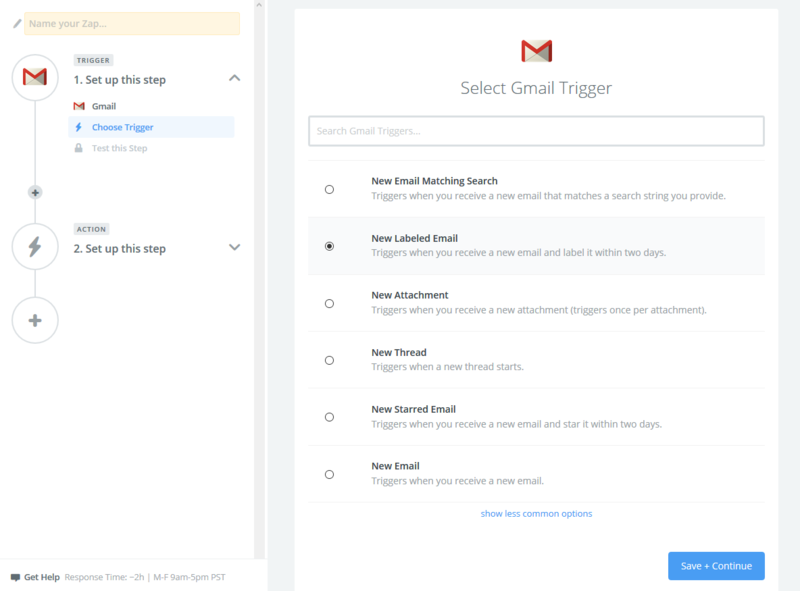 Zapier will make periodic checks for new labeled emails in Gmail and automatically insert new records in the selected Fusioo App.